This past week has been a series of contrasts for me. Starting with a glorious sunrise and outing at Blackwater National Wildlife Refuge while I was scouting for my upcoming class. I then took the opportunity to slip into the warm and tropical climate of Rawlings Conservatory to enjoy the orchids before the weekend of snow began to fall. Along with finally having the time to get out and enjoy nature a bit, I also had a secret little project brewing at home. Sworn to secrecy which was written on the contract, all I can let you know is that I had a filming production crew on-site for three days. Having found our property on VRBO (Vacation Rental by Owner) they were particularly interested in the wooden panels inside our rental home with its retro look. Filming for over twelve hours a day in the freezing cold was truly impressive. They were filming for an hour-long show on the Investigative Discovery channel. And that is as much as I can say until the show is aired in late spring. When I know, you’ll know and it’ll be fun to watch how the pieces came together from the production. Then snow preparation began between firewood and food for both humans and animals for days before the stormy weekend was to begin. Beginning overnight, I was thrilled to see Sunday was to be a long snow day. Beckoning to be enjoyed as much as one can. Driving up to North Point State Park as someone put into my head something about Snow Buntings in the snow…I arrived to a closed gate. DARN ! Exploring a little I found a side road that is home to Black Marsh Natural Area that had thickets of young trees that made me think of Pointillism. Not to be discouraged, I continued on my route heading towards Annapolis and decided to take a side trip to Patapsco Valley State Park. Ok..so no Snow Buntings so how about Cascade Falls? Arrived…said park gate again closed. DARN AGAIN !! FINE, well I’ll go and give my horse a nice warm mash. Surely she’ll appreciate that. So off I went again. This time I was arriving into farmland, and of course old barns, and historic farm homes are well known in Southern Anne Arundel County. For those that have been following me on my Instagram page you’ll see that over the past year I’ve finally arrived to my own. Having a unique look in regard to composition, subject matter and post processing. I had an image in mind for what I was looking for while driving along the country roads. Livestock, old barn, sweeping field that’s what I’m looking for. 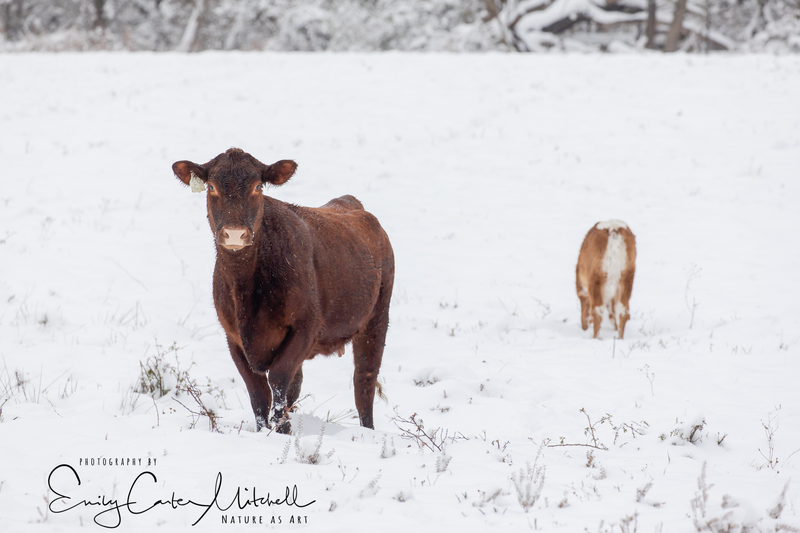 With a sliding stop I pulled over to the side of the road as cows caught my eye. Yes, I do speak a little cow. But this cow and her mate wanted to have nothing do to with me and ran off to get closer to the barn. 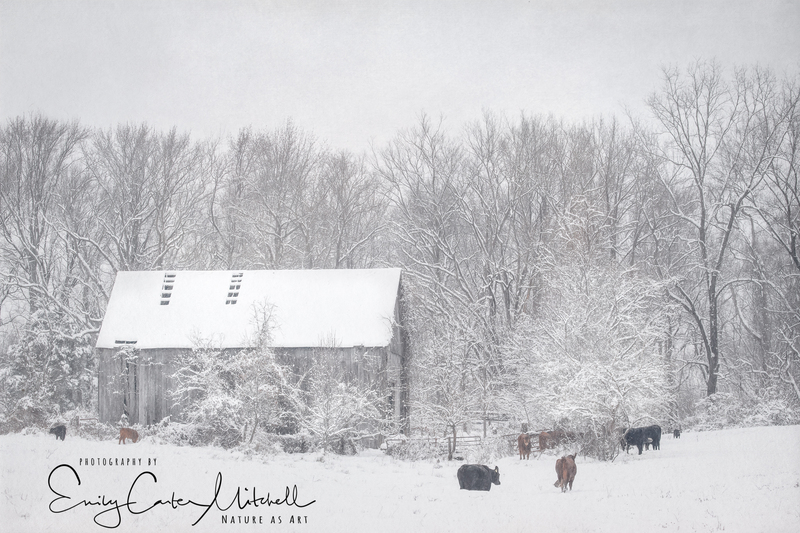 Such a lovely winter farm scene. The cows lowing in the distance. It was a wonderful day for exploring and truly I was hard pressed to return home as there was still daylight. But I’ve been burning the candle on both ends and it was time to make myself slow down a little. Now when head out for a photo walkabout I am now going with intention. With something specific in mind for subject matter I keep an eye on the weather as well as the sunrise conditions (Skyfire with TPE app) and work my schedule around what is most advantageous for photography. A bit of planning is conducted to ensure my success in coming home with a lovely collection of images. Previously I’d head out and just see what I might find and come back with a haphazard selection of images. Now what I’m coming home with is more focused in content. In fact, with the last several outings I’ve had a hard time narrowing down my selections as nearly all of the images are great. How to pick the best of the best is a new challenge and certainly needs a rested eye to go through. I traveled a long journey to get to this “photography with intention.” Mastering your camera gear and technical aspects along with post processing is critical. Once you have a great understanding of these three elements it frees you for creativity. It’s like a chef in the kitchen. It’s not the pots that make that gourmet meal. It’s the ingredients chosen and how they are put together by the chef that creates edible art. As it’s the New Year, and winter is upon us there is no better time than now to take some quiet time and think about what it is you truly enjoy. What is it about the camera and photography that inspires you. That makes you want to go out and explore. Where do you see yourself spending more time and with what type of subject? You’ll know when you’re there as time just seems to pass. Black and white image really works well. Thank you very much Krishna. Oh goodness what a beautiful scene! I love that you said you finally have come into your own. I am on my journey praying for that day. It took a long way baby. 😉 It’ll happen and you won’t even realize it Mireya. Have a great time along the journey. Beautiful captures, as always, you have such a wonderful eye for beauty and composition! I can’t thank you enough for your generous compliment Donna. Thank you. 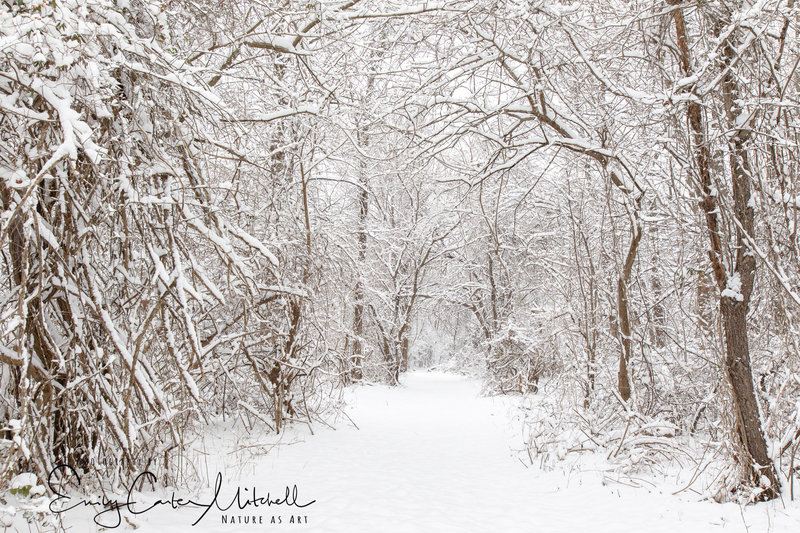 Stunning photos, makes me wish there was a bit snow over here as well! Truly, it’s wonderful to be back out in nature Denise.